It has been years since I've made some proper new years resolutions, just because I feel that by the time January is over I've probably already broken them or forgotten about them! So, instead I'm making some goals, things that I would like to achieve during the next 12 months. If I don't complete them then that's fine, there is always next year, but I think it is nice to have something to aim for. My first goal is to extend my awareness raising of Marfan Syndrome beyond my blog and social media. I think I have almost reached my limits of what I can do on my blog and if I want to make any real effort in the UK (I think the world is too far fetched a goal right now!) then I'm going to need to think bigger. I've already got some ideas that are being planned currently, including possibly creating some awareness leaflets and contacting press on the appropriate awareness days, most of them being at the start of the year. Right now I have a chest infection but as soon as I have recovered it will be full steam ahead and I can't wait. I also want to write more, not necessarily just blogging either. Of course I want to write more for my blog but I also want to journal, guest blog, write for other websites and just write because I can! I've not written creatively since I left school so I really wanted to try and squeeze out a short story or two this year. Another goal is that I want to blog about things that interest me, regardless of whether my current readers want to hear about it (sorry!). I've spent 5 years tip toeing around the topic of disability on my blog because of some previous hate comments and just the general feeling that people would rather hear about the latest MAC lipstick but no more will I hide in the shadows. 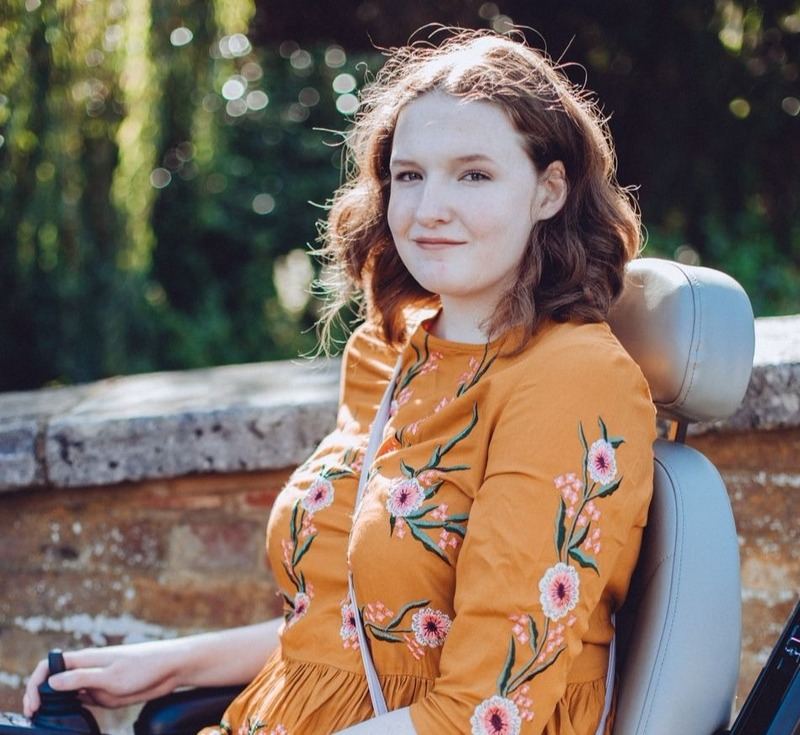 I want to be known as a disability blogger, I want to be known as someone who pushes boundaries and changes perceptions. I want to educate people and reduce ableism but most importantly, I want to engage people with the topic. Finally I thought I'd share some of my blog statistic goals, I wasn't sure if I was going to set these but having pageview goals last year really helped to motivate me and in turn it helped me reach those goals in the end. I know I don't have too many goals but these are goals that I really am passionate about so less goals means more time to work on each of them individually. I really think I can reach them and I'm looking forward to keeping you all updated throughout the year with what I'm up to! 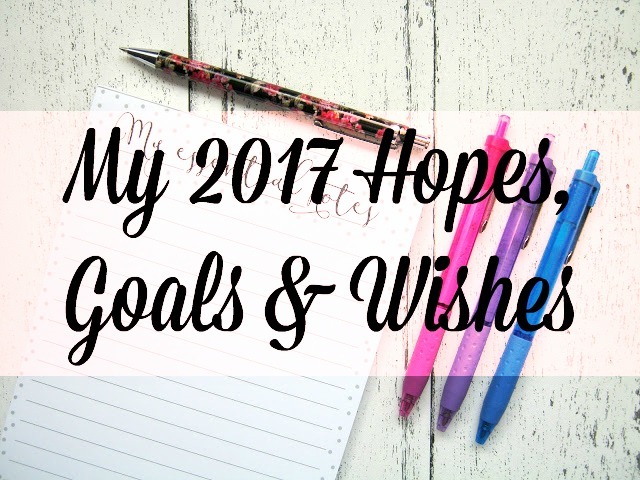 Do you have any hopes, goals or wishes for 2017? Very selfless of you to raise awareness. I look forward to learning more as I've not heard of Marfan Syndrome before. So great job, you definitely raised awareness to someone today. Hey Shona! I think these are great aims. You have a platform with such potential right here and I'm really looking forward to seeing how you raise awareness of Marfan Syndrome over the next year and beyond. Good luck! "My first goal is to extend my awareness raising of Marfan Syndrome" you are doing an amazing job so far, I can't wait to see what 2017 has in store!